On 17 May 1994, the Israeli daily Haaretz published an article entitled "The Rabbi of Lubavitch versus Muḥammad in the Exchange of Evidence in a Land Case in Hebron." This surprising - and perhaps in the eyes of some, bizarre - title led on to a fascinating story of how local Arab residents from Hebron went to Israeli court to preserve control over a property from Jewish settlers, who were residing on it and claimed recognition of rights going back several generations. The Palestinians, on the other hand, claimed that this land was an endowment (waqf) given by the Prophet Muḥammad in the early seventh century to their forefather, Tamīm al-Dārī. During the trial, Mujīr al-Dīn al-`Ulaymī's (d. 1522) history of Jerusalem was cited; it was noted there that the Prophet granted these rights even before Jerusalem and Palestine were conquered by the Muslims. This claim, however, was rejected by the Israeli judge, when no proper documentation was provided. Perhaps, if the Palestinian litigants, or their lawyer, had been able to read the volume under review here, their job would have been easier. Who says that the study of medieval history is not relevant for modern concerns? In the late Mamluk period there was also a flurry of writing about this waqf. At least three major figures in the intellectual life of the Sultanate, all generally based in Cairo, weighed in on the history and validity of this endowment: Shihāb al-Dīn Aḥmad b. ʿAlī Ibn Ḥajar al-`Asqalānī (d. 1449), Taqī al-Dīn Aḥmad b. ʿAlī al-Maqrīzī (d. 1442) and Jalāl al-Dīn ʿAbd al-Raḥmān ibn Abī Bakr al-Suyūṭī (d. 1505). There is record of an earlier Mamluk era composition on this subject, Ifḥām al-mumārī bi-akhbār tamīm al-dārī by one Shihāb al-Dīn Aḥmad b. Muḥammad al-Maqdisī (d. 1364) of Jerusalem, but this work is not extant. Other scholarly luminaries of the Mamluk era, such as the Damascene Taqī al-Dīn al-Subkī (d. 1355), also addressed this issue, but less extensively. Tamīm al-Dārī's endowment and its subsequent history appears also in early Muslim texts, and then in post-Mamluk works. It is a matter that impinges on the history of Hebron and Palestine, early Islamic history, the development of Prophetic tradition, source criticism by medieval Muslims, the development of Islamic law and legal theory, and questions of land tenure and taxation. 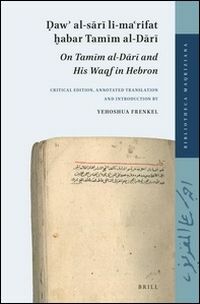 We are thus fortunate that Yehoshua Frenkel has taken upon himself to edit and translate the tracts of the Mamluk authors noted above, adding a comprehensive introduction and extensive annotation. The foundation text, and certainly the most original, is that of Ibn Ḥajar (more about that below), but since this volume is published in the framework of the new Bibliotheca Mazriziana (and here we can recognize and thank Frédéric Bauden of Liège for initiating and directing this important series), it is not surprising that al-Maqrīzī's work has the pride of place here. The long introduction sets the scene for the presentation of the texts and their translations. Here Prof. Frenkel can call upon his extensive previous work on the history of Palestine and Syria, not the least matters of land ownership patterns, and the social and economic history of the region in the late Middle Ages. This begins with a short survey of Muslim Hebron (al-Khalīl) up to the time of the Crusades. This is followed by some initial biographical information on Tamīm al-Dārī. The author wisely refrains from trying to resolve the historical veracity of this information, lost in the mists of early Muslim tradition and history, but provides ample material for reconstructing the development of the story of Tamīm and his bequest. Stories are related by at least one person (Rawḥ b. Zinbā` al-Judhāmī, d. 703) who supposedly actually met and conversed with Tamīm. Early ḥadīth collections mention Tamīm (not the least in connection with an apocalyptical connection: his meeting with the Jassāsa [the "Woman Spy"], a servant of Dajjāl, the Antichrist), and in an early Quranic commentary (by Muqātil b. Sulaymān, d. 767), he comes up in connection with one verse (5:106), in which his actions are not beyond reproach. Up to here, however, Tamīm is a minor character, and little attention might have been paid to him by modern scholarship. It is the allocation of land in the Hebron region that really draws our attention and is the key to Tamīm's subsequent fame. Here is the gist: Tamīm al-Dārī and family members, Christian Arabs living in Palestine near Hebron, show up in Medina, recognize Muḥammad's prophecy, and convert to Islam. Tamīm then asks the Prophet if he might grant him certain lands in Hebron and its vicinity (the exact locales vary in the different accounts), even though this whole region had yet to be conquered (and in fact, before any conquests beyond Arabia had begun). This request was answered in the affirmative, and authorization was given in a document in the Prophet's handwriting on some leather from his boot. Here lies the basis of claims of the Dārī clan to these lands. These allocations were confirmed by Caliph `Umar after the conquest of this part of southern Syria, and by later Caliphs. This story appears as early as the biography by Ibn Hishām (d. 813) of the Prophet, probably harking back to the work of Ibn Isḥāq (d. 767) on which it is based. There are a number of issues here, not the least the credibility of the story, even in early Muslim eyes. Evidently, the minds of many were laid to rest by the story of an actual document written by the Prophet himself on the piece of boot leather. At the time of Caliph al-Ma'mūn (813-833) this rolled leather was brought forth during a dispute on the matter. The story goes that the Caliph dispensed with opening and reading the document, by saying that who is he to doubt the legacy of the Prophet. This is a nice story, showing some two centuries after the events described questions regarding the story's veracity, and the need to confirm it, were already circulating. Secondly, there is some question about the exact nature of this allocation. In some texts, it is referred to as a qaṭī`a, state lands transferred to private Muslim individuals (incorrectly translated as "fief" here); elsewhere it is called an iqṭā` (also mistakenly rendered at times as "fief"),  a term later used for land grants for army officers; and, increasingly as waqf, endowment. That last mentioned term appears to be understood as a family endowment. Perhaps this terminological confusion reflects the fluidity and uncertainty of different types of land tenure in the early Muslim period, not the least regarding the emerging waqf institution (which almost certainly did not exist among the first generations of Muslims). Alternatively, the different labels applied to this alleged land allocation by Muḥammad might hint at its troublesome origins: various mechanisms were toyed with until the waqf institution (which meanwhile had crystalized) was hit upon to define this concession. Whereas waqf is theoretically forever, qaṭī`a lands remained officially state property (although in practice they could evolve over time into milk, private property). Iqṭā` would have been even more problematic: in principle, this was held by an officer as long as he performed military service, and was not intended to be transferred by inheritance. Abū `Ubayd al-Qāsim b. Sallām (d. 838) was the first to employ the term iqṭā` for Tamīm's allocation, i.e. in the early `Abbāsid Period. This would seem to mean that iqṭā` had not yet taken on the meaning by which it generally would enjoy, and rather it should be understood only as some type of land allocation. The problematic usage of this term (and the others noted above) in the context of this story are not really discussed in the book. In spite of some legal ambiguity, many later scholars accepted the story of this allocation, its legality and the continuous validity of ownership among those accepted as Tamīm's descendants. As noted above, Taqī al-Dīn al-Subkī relates to this matter in a short publication, and then it was at the center of another work, now lost, by the also mentioned Shihāb al-Dīn al-Maqdisī. In the fifteenth century, three treatises that are at the center of this work were composed, by Ibn Ḥajar al-`Asqalānī, al-Maqrīzī and al-Suyūṭī. All of these are Shafī`īs, who accepted both the claims of the al-Dārī family and their legal validity in principle. On the other hand, the Ḥanafīs rejected this approach: land that was not yet conquered could not have been allocated. This was not only a matter of disputes between legal schools, or the question of the property of an important provincial family, but was related to larger economic and political issues. 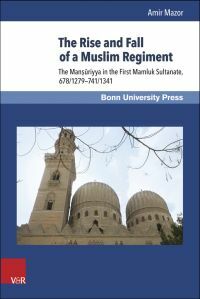 The Mamluk Sultanate, clearly following the system set up by their Ayyubid predecessors, based its military strength on the revenues derived from the land allocations to officers, i.e. the iqṭā`āt noted above. In the later Mamluk period, there was a process of "waqfization": through various mechanisms, much of this state land was turned into private property and then to endowments, for the benefit of both the endowers' families and religious institutions (and those who worked in them). On the one hand, this led to a direct drop in revenues and thus affected the size and abilities of the army. It should then not come as a surprise that the state administration made attempts to stem this outflow of property and income. On the other hand, one need not be astonished to learn that leading scholars, direct beneficiaries of the expanding waqf network, and unhappy at other aspects of Mamluk interference with civil life, came to the defense of this institution. The ongoing attempt to increase the revenue flow to the Mamluk State must have also resulted in the political authorities trying to put their hands on older waqfs. Already under sultan Barsbāy (r. 1422-38) such an effort was made to check the endowments in Hebron, and in fact, in 1435 Ibn Ḥajar al-`Asqalānī himself was sent to inspect them. This particular endeavor was not successful, and the scholar's good intentions were not realized (this whole episode is well told in this book). At some point, however, the property in and around Hebron, what we might call the "Tamīm al-Dārī Bequest," must also have been in the sights of the local Mamluk officials and their superiors in Damascus and Cairo. This may well be behind the first of these three treatises. We can imagine a group of notables from the Dārī clan turning to Ibn Ḥajar, either by letter or even by travelling to Cairo, and prevailing on him to take up this case. Doubtlessly, Ibn Ḥajar was convinced of the justice of this cause, both the specific the original story of how Tamīm acquired the property and this was confirmed by the early Caliphs, and then the more formal legality of it in the Sharī`a as understood by the Shafī`i school. Disagreements and competition with Ḥanafī scholars, who supported government expropriation of properties of this type, and may have doubted the whole validity of the Tamīm al-Dārī Bequest, probably had their place too in this vigorous defense of the rights of the Banū Dārī. The continuing interest in the affair is seen in the tracts by al-Maqrīzī and al-Suyūṭī. These are some of the matters covered in great detail in almost 70 pages of introduction. Surely, a short review cannot do justice to this section, an important study in its own right, which also discusses the formation of the Tamīm al-Dārī story in the early Islamic period, and its impact on popular Muslim culture. Likewise, there is a detailed analysis of certain elements in the story (such as Tamīm's meeting with the Jassāsa noted above) that are interesting and well done. The short surveys of Hebron's history under the Mamluks and some issues dealing with land tenure at this time are also very useful. The similarities and differences between the three Mamluk tracts are discussed, as are assorted details, including the manuscripts and editions. In short, the scene is well set for the editions of the three compositions given here, the main portion of the volume. These editions are clear and straightforward. Prof. Frenkel has done his excellent work here as he has with the translations, which read well and are accurate. 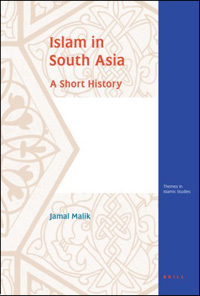 These works, along with the detailed introduction, are a great boon not only for al-Maqrīzī studies, but also for the social, cultural and economic history of the Mamluk Sultanate, the history of Palestine and the region of Hebron, questions of land tenure, legal studies, and early Islamic tradition and its later reception and ramifications. Prof. Frenkel's efforts here are impressive, and we should all be grateful with the result. The maps on pp. 70 and 71 are useful and illuminating, but perhaps another with all of the locations that different sources mention as being granted to Tamīm al-Dārī would have been also been beneficial. On the map of Palestine and its environs, I was curious why the largest province is called the "Mamlakat of Damascus", while three others are referred to as "Karak district," "Gaza district," and "Safed district". These were mamālik too, or niyābāt, but certainly not "districts," which is the way we might translate a`māl, the sub-provinces. Let me end with a minor criticism, which I hope, however, might prove inspirational. I found a statement on page 16 a little bemusing: "The aesthetic structure of the Mamluk tractates on Tamīm al-Dārī and his possessions reflects that period's zeitgeist [sic]." 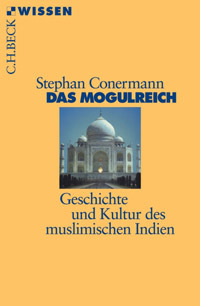 This connection between compositions and Zeitgeist is not made explicit, but the matter is more problematic: I confess that I am far from sure what is meant by the concept of Zeitgeist of the Mamluk period (more than a quarter millennium over a far-flung state! ), be it altogether, or of its military-political elite, the scholarly and bureaucratic classes, and the wider swaths of society. Maybe Prof. Frenkel will take this on as a project for a full scale monograph, where his prodigious knowledge, boundless energy and deep understanding can find full expression. It is worth noting two articles in Hebrew by Prof. Frenkel that in many ways prepared the ground for this present work: "Mamluk Hebron: Social and Religious Institutions in a Medieval Islamic town 1260-1516," Ha-Mizrah He-Hadash, 50 (2011), 9-28; "Hebron - An Islamic Sacred City (634-1099)," Cathedra, 141 (2011), 27-52. We can also mention another related article by him in Arabic: "The Story of Tamīm al-Dārī: His Kidnapping and Return," Al-Karmil, 32-33 (2011-12), 275- 362. 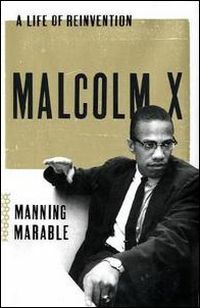 On p. 22, there is the expression "iqṭā` fiefs." Isn't it time that we stopped using a word connected intractably with European feudalism in connection with the iqṭā` institution? Elsewhere (pp. 7, 10), Prof. Frenkel uses the word "concessions" in connection to iqṭā`, which works very well, as does the term "allocation" that I have employed here. See: Igarashi Daisuke: "Land Tenure and Mamluk Waqfs," Ulrich Haarmann Memorial Lecture 7 (Berlin 2014), who reviews recent studies on this topic. One of these was the increasing role played by the Mamluk ḥujjāb ("chamberlains") in some of the judicial affairs traditionally controlled by judges and their representatives. This is the basis for al-Maqrīzī's complaints in his Khitat, where he manipulates evidence on the application of the Mongol Yasa (law) to make the ḥujjāb look bad. See David Ayalon: "The Great Yāsa of Chingiz Khān. A Reexamination." Studia Islamica, Part A, 33 (1971): 97-140; Part C2 (1973): 107-56. Reprinted in D. Ayalon: Outsiders in the Lands of Islam: Mamluks, Mongols, and Eunuchs (London 1988). See also Frédéric Bauden: "Trusting the Source as Far as It Can Be Trusted: Al-Maqrīzī and the Mongol Book of Laws (Maqriziana VII)," Ulrich Haarmann Memorial Lecture 1 (Berlin, in press).